Do you need to understand more about digital marketing? Today's marketing enviroment is all about expanding the "digital footprint". Learn more about digital marekting and facets of the digistal marketing arsenal. Real solutions that businesses can use to enhance opportunities and foster better businesses opportunites and relationships. Introductions to Web Design, SEO (Search Engine Optimization), PPC (Pay-Per-click), Social Media Marketing/Management, Affiliate Marketing, Analystics and Marketing Automation will be covered. 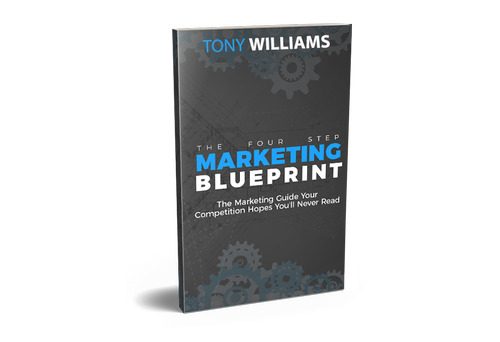 We'll also be introducting the Four-Step Marketing Blueprint - a guide for developing a digital marketing strategy that works! Tony Williams is the Founder and CEO of Williams Marketing Systems LLC in Terre Haute, IN. Williams Marketing Systems is a full-service digital marketing agency and consultancy offering the very best in marketing solutions. Tony is very passionate about helping businesses succeed and has over 25 years of business marketing, management, and ownership experience. Free to attend, but please register ahead.